Description: 1461st --- Crystal Stone – The Scary Number is an enchanting point and click type new escape game developed by ENA Games Studio for free. Visualize a situation that you went to a scary world in the dream. If you want to get released from the scary world you need to find the crystal stones and give it to the witch. This game is going to be a mind blowing game, as it is the final sequel of all the games. As you are a person of good decision making capabilities, it is sure that you will succeed by finding the necessary objects and solving puzzles. 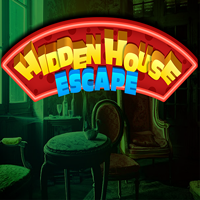 Have a greater excitement and fun by playing escape games daily. Good Luck and Best Wishes from escape games.